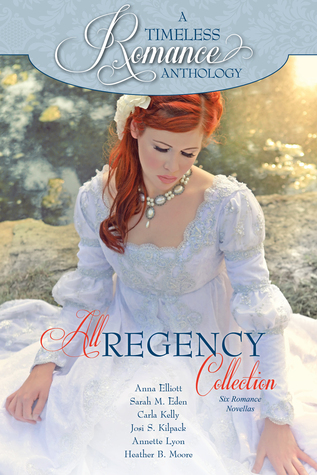 Every so often I dip into the world of regency romances. They're a nice break from some of the heavier fare I read. Jennifer Moore is one of my go-to authors for this genre. I generally like her characters and very much appreciate her keeping the romances light and clean. 3 stars: A bit predictable, but I enjoyed it. Meg is an American girl in London for a Season--sponsored by her distant cousin. The hope of her parents rests on her finding some rich man to marry. Her lack of experience in this type of social setting is immediately obvious to the other young ladies of the Ton, and they don't let her forget it. When Meg meets Carlo, a stable-hand, she finds a kindred spirit in whom to confide. If only she knew the truth! "Carlo" is actually Prince Rodrigo de Talavera--from Spain. His family has been forced into exile for their own safety, after the abduction of his mother and father. He doesn't know where they are or if they're even still alive, but he's determined to find out. His sadness and desperation are lightened by his growing friendship with Meg--she mistook him for a stable hand upon their first meeting and he has never corrected that impression. 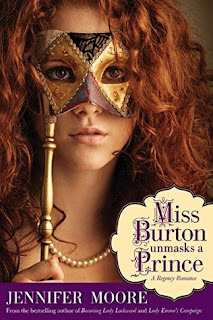 He plans to tell her the truth at the Masquerade Ball. In the meantime, her playfulness and fresh outlook have given him some hope that happiness and goodness remain in the world. While the basic plotline was nothing new, Moore's able execution of it was enjoyable. I particularly liked the way Meg and Carlo developed a sincere friendship before falling in love. Meg's growing awareness of the way "Carlo's" position might be compromised by their relationship (obviously, believing him to truly be a servant) was also well done. There was a great ironic sub-plot going on, with the juxtaposition of her quest to marry a rich man and the penniless prince that she falls in love with. Content: Clean. Thank you, Jennifer Moore! 3 stars: Short and sweet. A collection of six novellas, by some of my favorite authors (plus a few new ones.) 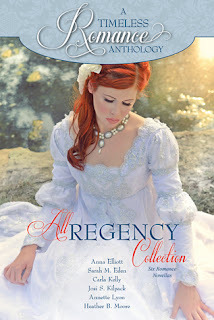 These were quick reads, ranging in subject from Elizabeth and Mr. Darcy post-marriage, to the rekindling of romance within a marriage. There wasn't any certain one of the six that stood out to me for better or worse. They were all enjoyable in their own right. These were finally the last of my summer reviews! Now that it's getting colder I may have more time to read, so I guess I had better get on top of the rest! If you like the Regency era, the Aubrey-Maturin series by Patrick O'Brian is a real delight. Imagine if Jane Austen had been instead born James, what he would have written. Thanks for the tip! I'll look into those.